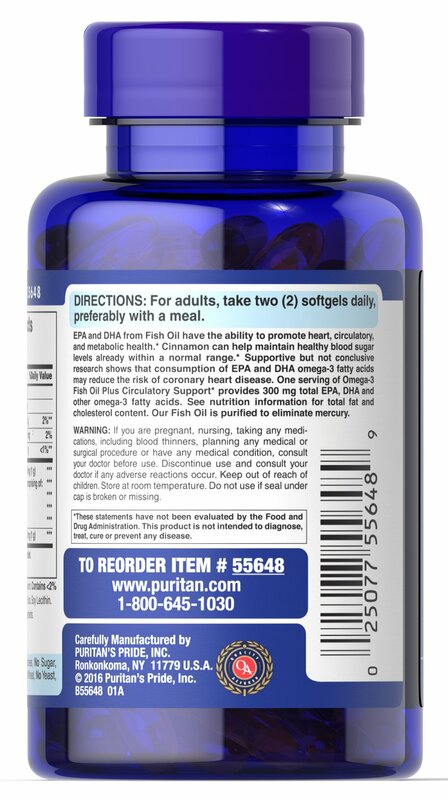 EPA and DHA fatty acids support heart, circulatory and metabolic health. ** Fatty Acids play a role in providing an energy source for the body. 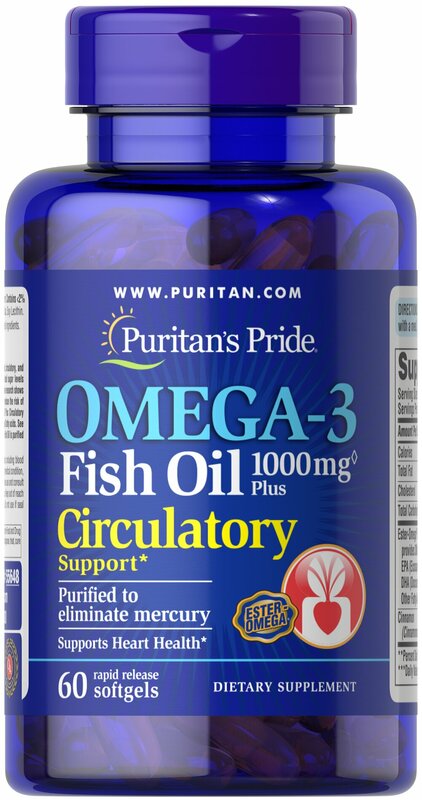 ** Supportive but not conclusive research shows that consumption of EPA and DHA omega-3 fatty acids may reduce the risk of coronary heart disease. 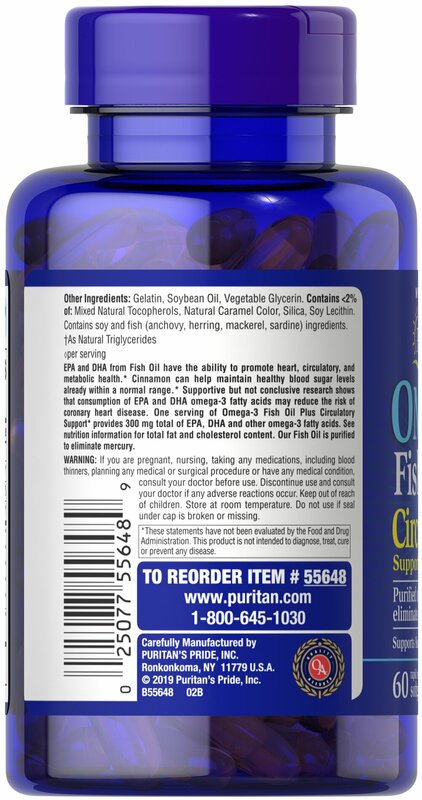 ** One serving of Omega-3 Fish Oil Plus Circulatory Support provides 300 mg total of EPA, DHA, and other Omega-3 fatty acids. 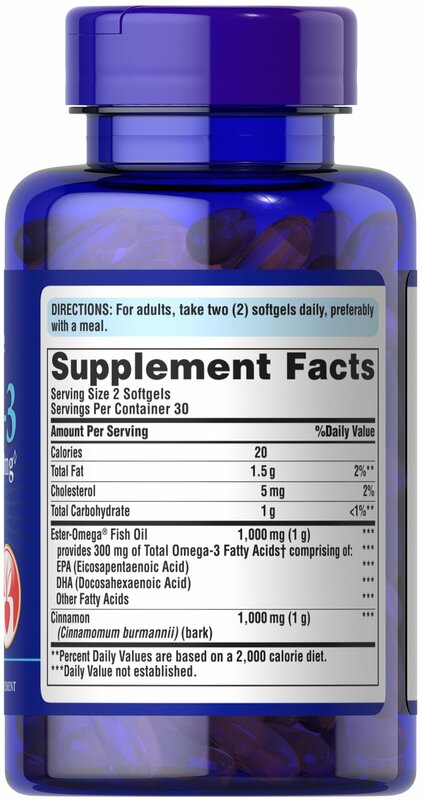 See nutrition information for total fat, and cholesterol content. No Artificial Flavor or Sweetener, No Preservatives, No Sugar,No Starch, No Milk, No Lactose, No Gluten, No Wheat, No Yeast, No Shellfish. Sodium Free.